We start a new chapter with a return to our CSS unit tests. The success of our initial CSS unit testing experiment led to an open-source library called Quixote. Now we’re going to use Quixote to improve our experimental tests and drive the final changes to our new home page design. 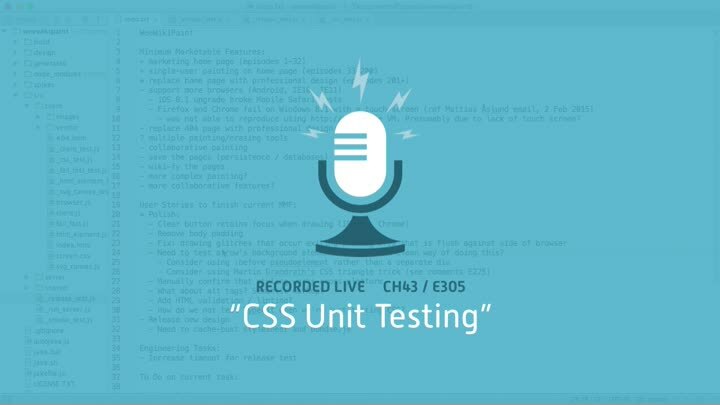 In this episode, we make our plan and review how the CSS tests work.